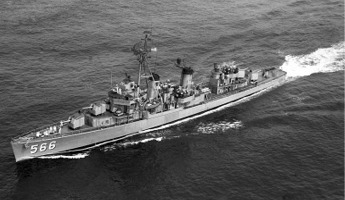 The Fletcher Class was the largest class of ships ever built by the Navy. Because the Stoddard was the last of these stricken from the Naval Vessel Registry, we call her the "Last of the Fletchers." 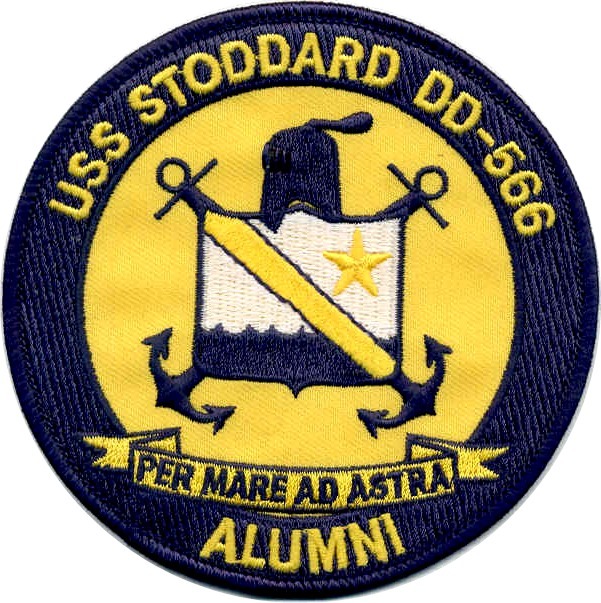 USS STODDARD DD-566 31st Annual USS Stoddard Reunion will be held in Virginia Beach/Norfolk, Va - September11th thru September 14th, 2019. Click here for the stories and photos from WWII to her final fate. Click Here for Alumni Lookup, Membership info and a list of the deceased The 31st Reunion in Virginia Beach/Norfolk, VA is committed to." All past reunion info is HERE. Get that official cup, shirt, hat or jacket from the ships store right here. Get it for the next reunion. ●YouTube of Fred Crenshaw 60-64 cruise.